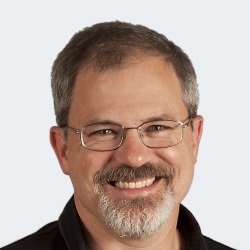 On the Windows PowerShell blog, Jeffrey Snover links to a article in Linux Magazine by Narcus Nasarek comparing Windows PowerShell and Linux’s bash shell. The article’s sequence is unexpected. Not until near the end of the article does Nasarek get to the main difference between PowerShell and bash: PowerShell pipes objects, not text. Nasarek says regarding PowerShell’s object pipeline “Bash cannot compete here.” He says that the disadvantage of bash in this regard is that “it relies on the abilities of external programs to handle data structures.” That is an understatement. The disadvantage of bash is that it requires fragile, ad hoc text manipulation to pluck data out of the pipeline. Nasarek is being fair to PowerShell, but he was limited by space. He had only two pages for his article, and only about half of those two pages were devoted to text. Next PostWhat's wrong with paper?